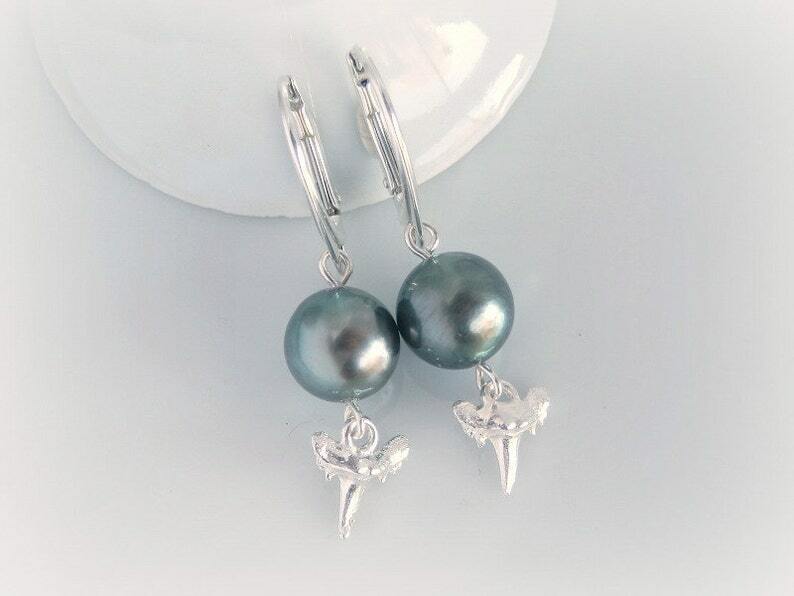 This is the sterling silver version of my shark tooth and Tahitian pearl earring drops. The 9mm pearls were sourced by me directly from the farm that raises them in the Tuamotu archipelago of French Polynesia. With charcoal gray bodies and nebulous swirled surfaces, these pearls evoke the deep mystery of the sea, especially paired with sharp shark tooth charms cast in solid sterling silver. 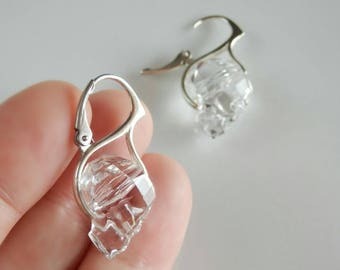 The dangle earrings measure 1.5 inches (3.8 cm) from the top of the leverback to the bottom of the shark's tooth. 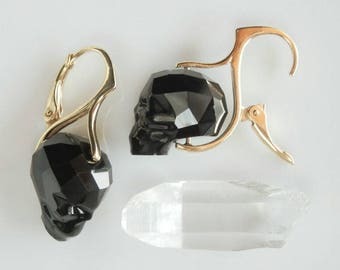 The hinged earring backs close neatly for comfort and security. The beautiful pearls are lightly blemished with nacre variations, just as the oysters and the ocean intended. They are near round and have been matched carefully for shape and size, although as you can see they are sisters rather than twins, each unique and not exactly the same as the other. These will arrive wrapped and would make a fine, romantic gift. *You will receive the pearl and shark tooth charm earrings described above. The other earrings shown in the photos are for display purposes and are not included in your purchase.